You just inspired me to make a loan on Kiva! What a great idea! I made a loan to a seamstress in Peru. She will use the money to buy fabric and thread. I feel all warm and fuzzy inside now. Both Shasta and I feel really happy to make that loan, and I realized, I dont want to deprive YOU of that rewarding experience by making you give me money and let ME have all the fun and be warm and fuzzy. And KM is right! Handling $$ can be messy. So this is how its going to go. 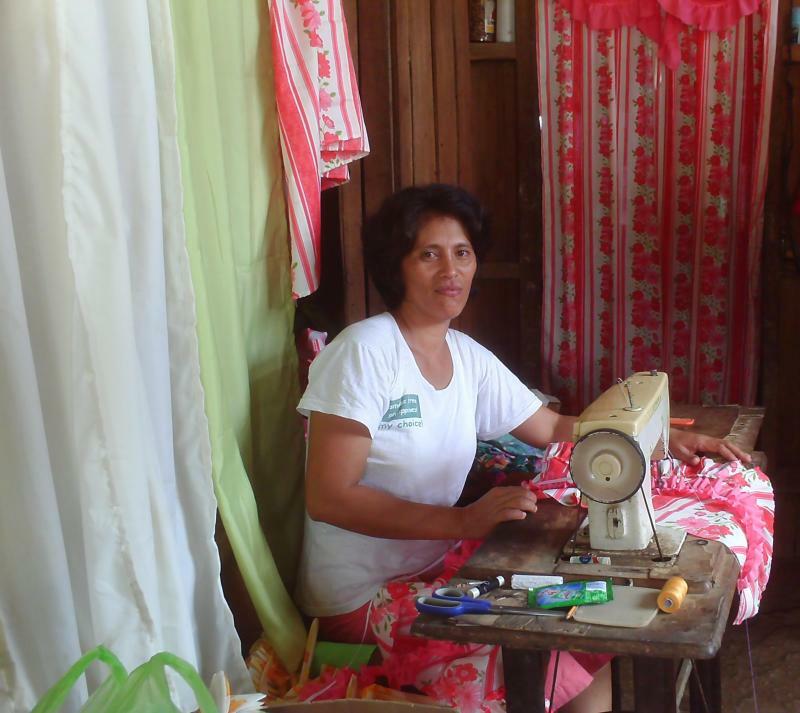 In the future, if you want the giveaway, you have to promise that if you win, you will sign up on Kiva, and you will make a loan of at least 25 dollars to one of the seamstresses on Kiva. Keep in mind that 98.5% of the time, you will get that money back, at which point, you can decide whether you want to put that back to your pocket or re-invest in someone else! So this way, my giveaway is still, 98.5% free! All you need to do is to show me which seamstress you have loaned the money to and I will trust that you all are honorable and kind and ship it to you free! This entry was posted on Friday, April 16th, 2010 at 10:34 pm	and posted in giveaways. You can follow any responses to this entry through the RSS 2.0 feed. « POLL: Free Giveaway, or Sell for Charity? I’ve heard about Kiva before and have been wanting to check it out. Thanks for reminding me! I’ve just signed up and made my first loan to a group of women who need to buy an electric sewing machine. Your idea about giveaway and Kiva is great and inspiring! I bet you’ve really started something here! I’ve thought about lending on Kiva before but never actually stepped up to do it. But once you threw out the idea of lending to a seamstress, it was too perfect to pass up. Most of us are lucky enough to sew for the joy of it. We shop for fabric and thread like some other girls hit the mall for shoes and designer jeans. It’s good to remind ourselves that some women (and men!) depend on sewing for their livelihood. It’d be so cool if all of us hobby sewers lent money on Kiva. Thanks so much for the inspiration! you are inspiring and oh so sweet! What a great idea! Thanks for introducing me to Kiva! I need to go check out their website now. I’ve seen the banner on other blogs, but I didn’t know what it was before. what an incredible idea… I love this.